BRYAN EATON/Staff photo. 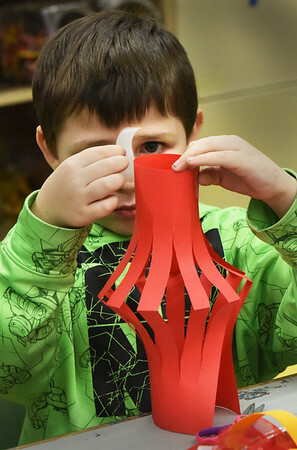 Alex Chernick, 7, tapes a handle to his Chinese New Year's lantern at the Boys and Girls Club on Tuesday afternoon, one of several art projects going on in the art room. Chinese New Year starts on February 16 and it is the year of the dog.